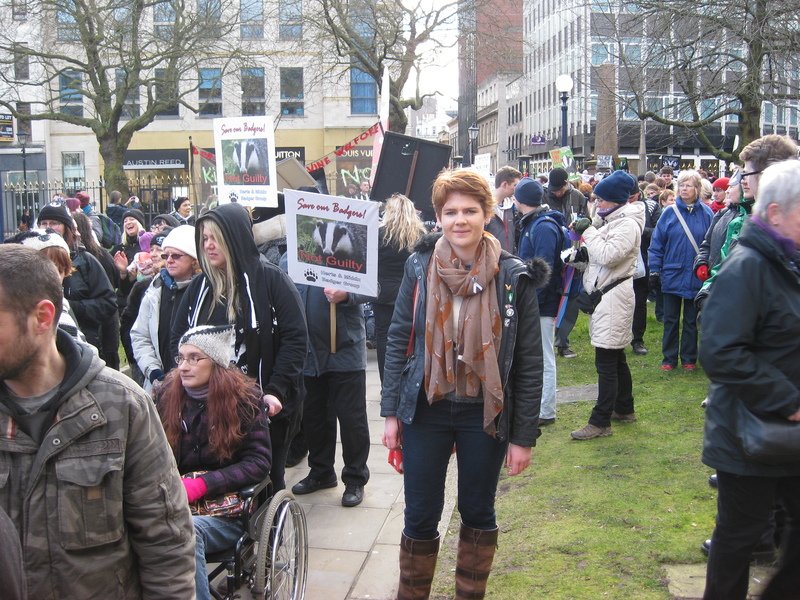 A few months back I heard about a Wildlife Festival and Badger March which would be taking place in the centre of Birmingham, as Birmingham isn’t far from where I live I was eager to attend. We arrived in Birmingham just before 10am and made our way to Centenary Square which was about ten minutes from the train station. When we got there all the stalls were set up and the speakers for the day were getting ready. 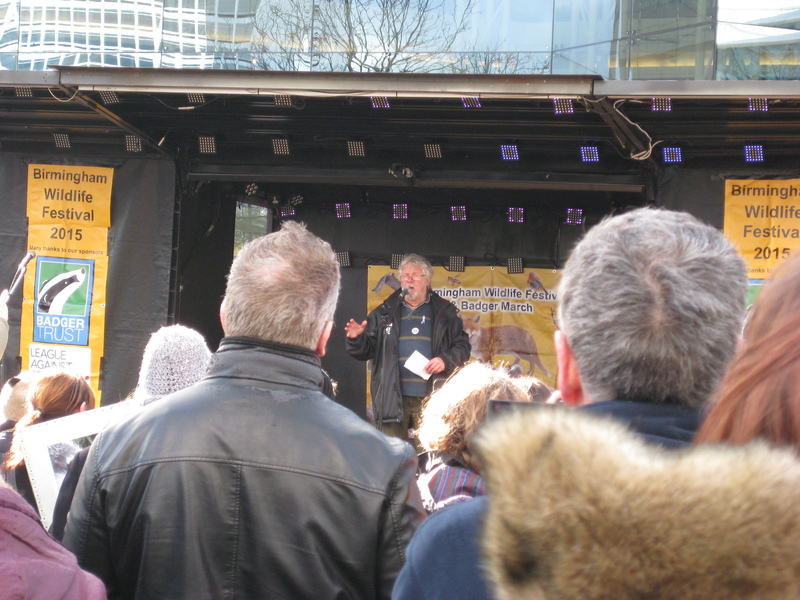 By about 11am it was in full swing and it was great to see so many people who cared so passionately about saving not only British wildlife but wildlife from around the World. 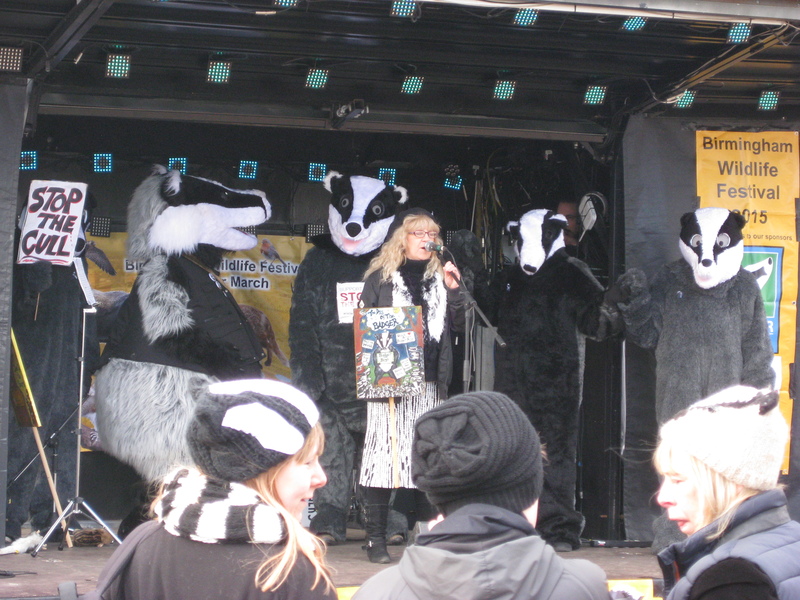 All the talks were fantastic and they were very inspiring, I can’t pick a favorite one as they were all so good and about very important subjects, from animal therapy and depression to stopping the cull and wildlife crimes. There was even some singing involved! 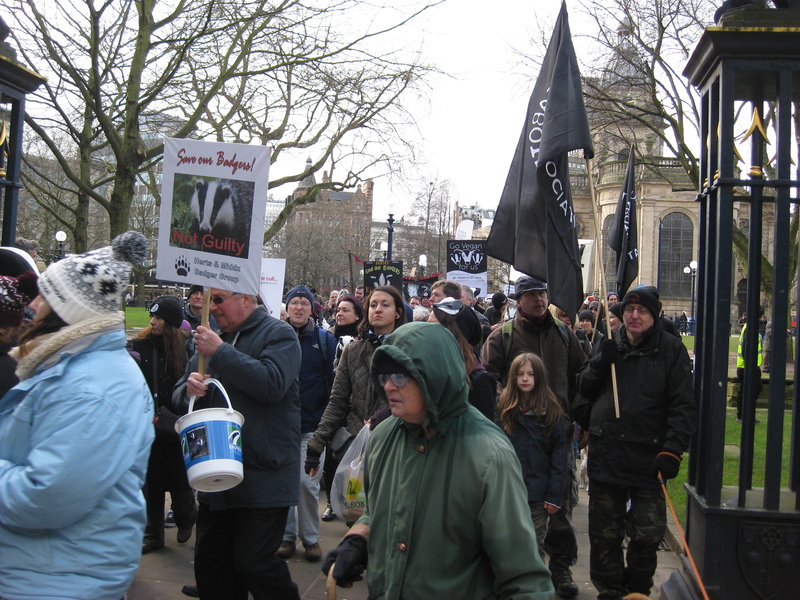 At 1.30pm the Badger March began. 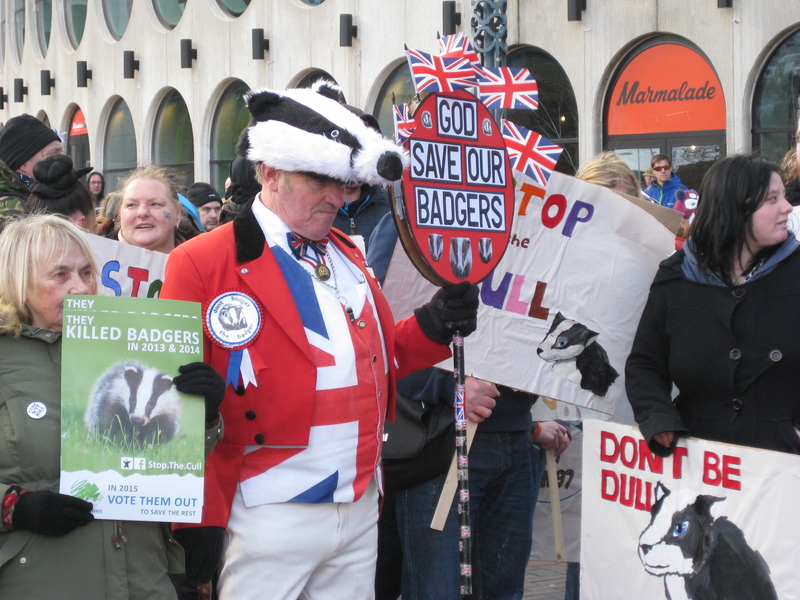 I was quite close the front and as I looked back it was so brilliant to see so many people on the march. 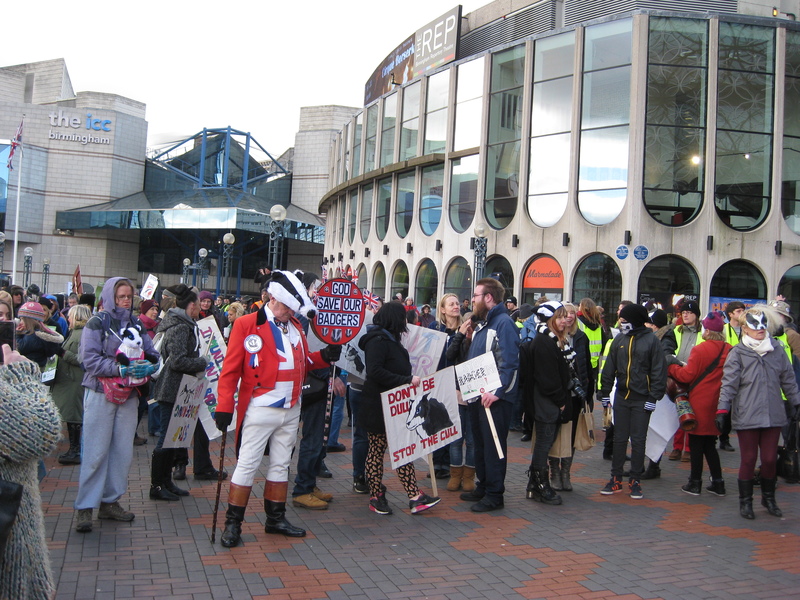 Everyone made a great effort as there was lots of fantastic costumes, signs, banners and hats too. It was also great to see some other young people joining in. 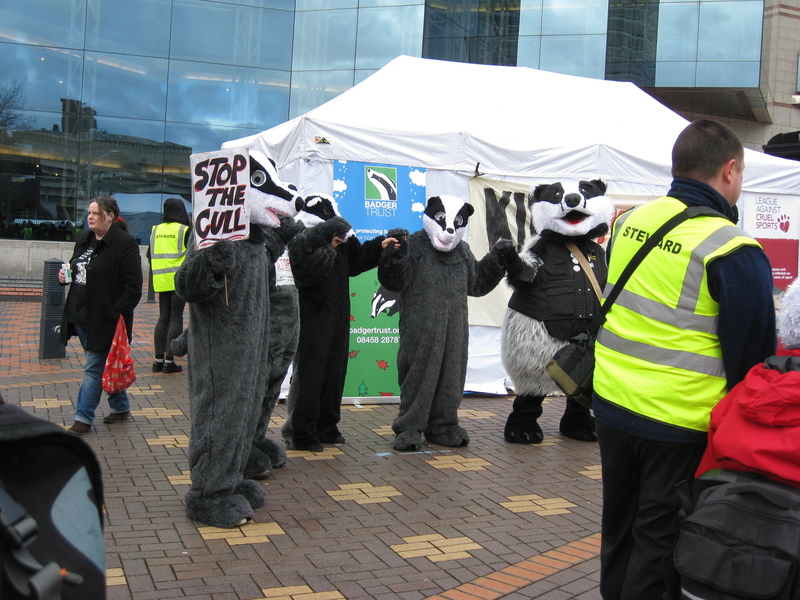 The march went down into the very centre of Birmingham then back to Centenary Square, as they shouted ‘Save our Badgers, Stop the Cull!’. 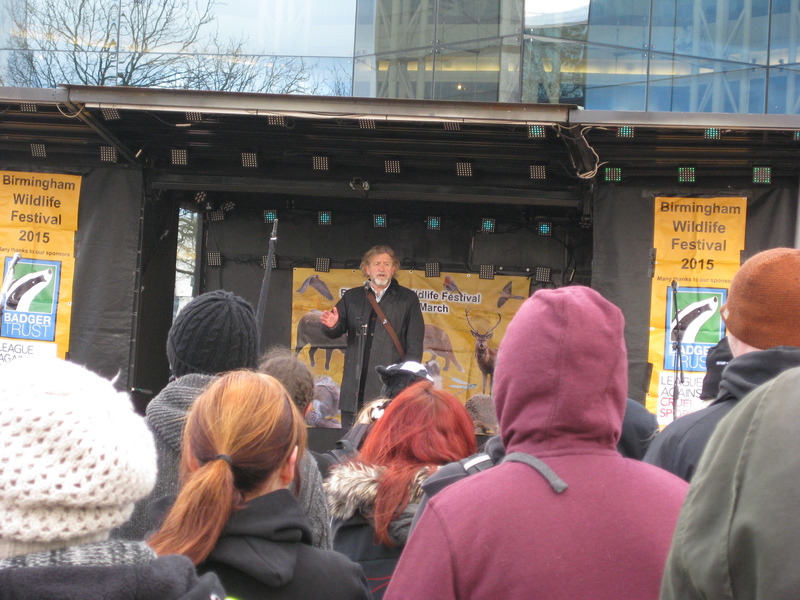 Once the march was back to Centenary Square Dominic Dyer, CEO Badger Trust, gave a very impassioned talk followed by many more speakers until about 4.30 when the day of talks finished with Charlie Moores from Birders against Wildlife Crime. 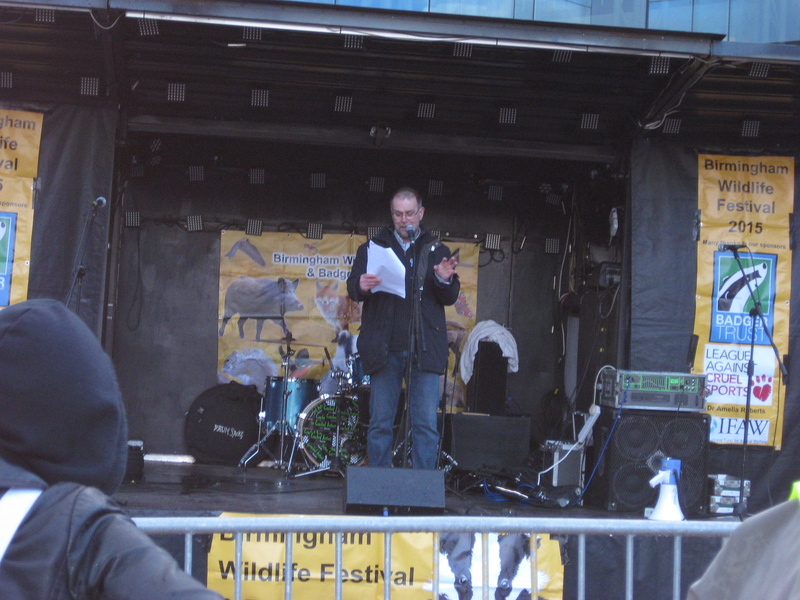 On Saturday all the speakers, stalls and people that went along all expressed a very important message about how we need to protect and care for our wildlife and I was very proud to be a part of that. 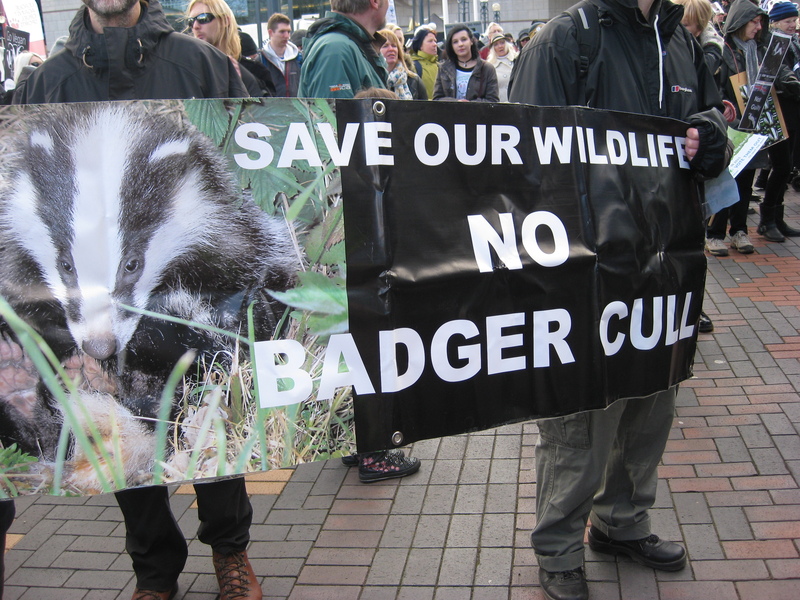 There is another way and I read a detailed report from Glos wildlife trust about vaccinations on one of their reserves with cattle. 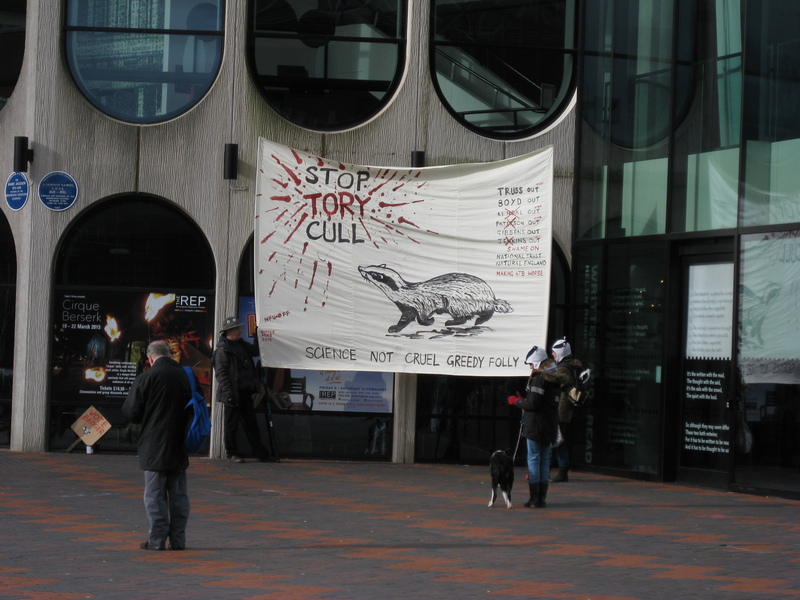 Great to see support back in IK for wildlife. Pingback: We Will Not Be Silenced | Georgia's Wildlife Watch.